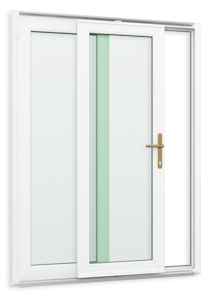 The Tilt & Slide Double Glazed door is for the consumer that desires a sliding door with a difference! Put our visionary ideas to work in your home utilising a space saving design, which incorporates a ventilation opening, and their size and style allows for plenty of light. Our Tilt and Slide Double Glazed Doors are some of the easiest to slide and tilt, even though they bear double the glass weight! This is due to the equally important ingenious design of a perfected mullion and the improved high quality parts. If installed correctly, these doors are a delight to operate, because despite the glass weight they can quietly slide using the strength of just one finger. You will catch yourself providing demonstrations of the tilt & slide operations to your curious family and friends with great excitement! How does your home respond to sunshine and fresh air? Now you can open up any space with just a few turns of a handle, or when the weather is rough but you fancy feeling close to nature tilt the door to remind you of the comfort that Double Glazed Windows and Doors create inside. 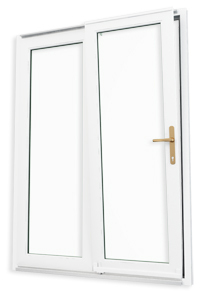 The Double Glazed Tilt and Slide door system, allows you to have all the performance, style, reliability, and security features of our Double Glazed Tilt & Slide windows, while being taller and wider, they can transform any room by inviting the great outdoors with a large and unobstructed opening. Essentially, the Tilt & Slide Double Glazed combines the best features of the Sliding with the best features of the Casement for the best Tilt and Slide Double Glazed Door on the market! Our products and services all come with a personal touch and thoughtful attention to our clients' preferences and architects' specifications, to create a work of art that stands up to time and the elements. We want to hear about your evolving needs to improve satisfaction and identify any niche markets. Call us for a free consultation or assessment and enjoy the difference in service and quality! Remember that windows and doors are part of the visitors' first impression, so create lasting, awe- inspiring memories with unique and quality products for the intelligent consumer! Operational tests are carried out on the handles on the tilt & slide doors itself. This means that, not just the function, but also the durability of the attachment between hardware and window is tested thoroughly. They are given the equivalent of 50 operational cycles a day over a period of 10 years. Neither the tilt & slide doors handle itself, or any part of it, must become loose during the course of the test. This ensures the components Double Glazed Windows and Doors use perform consistenly well, so that our customers enjoy a trouble free use of their windows!